Dominy D. is widely known to be a nutcase. He was not, in fact, born a nutcase... but events inexoriably led him down that path. One night in his small suburban apartment, he was visited by the Great God Kiwi, and the Bird spake to him with His uncommonly long beak, bidding Dominy to go forth and spread His Word. Dominy felt that he was obligated, in this situation, to lose his mind. It helped with the shock. 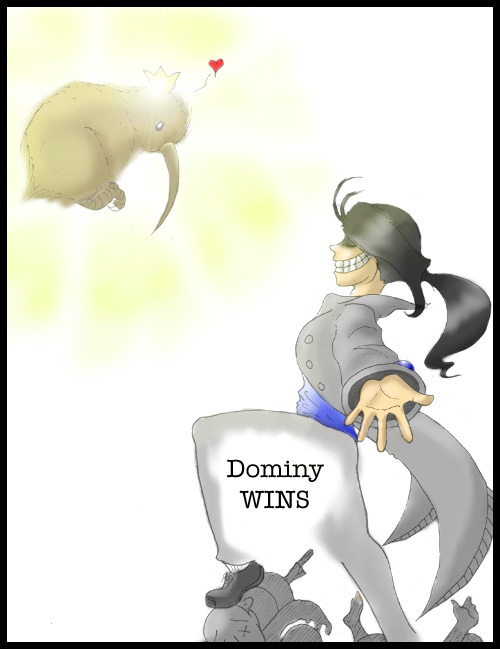 In return for his undoubtedly lifelong service, He took Dominy's soul for safe keeping. 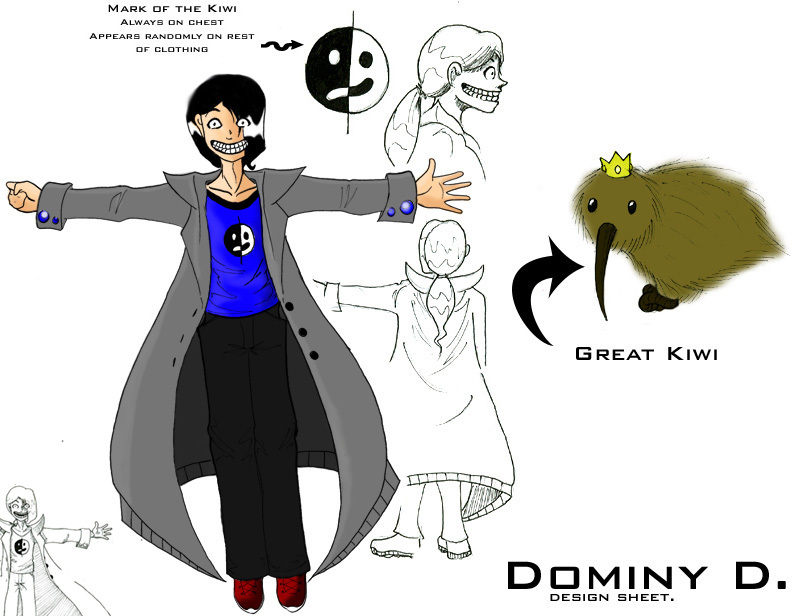 As long as his soul is in the care of the Great Kiwi, Dominy cannot die, and so can better spread His word as His only prophet. Unfortunately, Dominy is still as easily hurt as the next mortal. So now with nothing but his madness and the Teachings of the Kiwi, Dominy roams the land searching for lost souls to convert... by force if necessary. This search has led him to Void... land of lost souls. 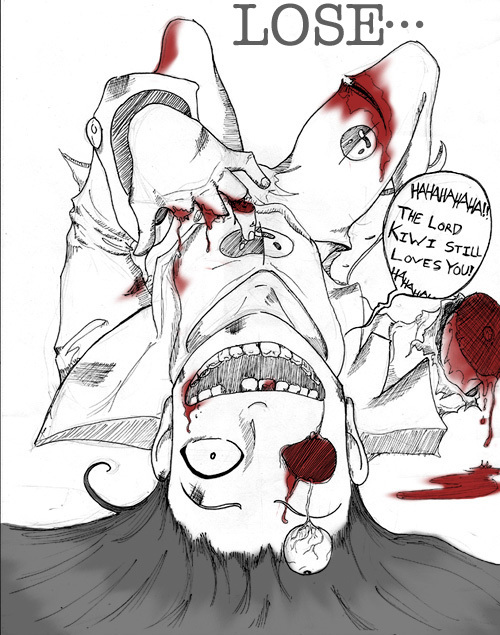 - Dominy is crazy as a loon, and does not often register pain. While this isn't so much an ability as a handicap, it's worth noting. - Often known to call on the Lord Kiwi for various things. While very powerful, the Lord Kiwi seldom if ever bothers to help his Prophet. - Sadly, Dominy has no other noteworthy or amazing abilities.